For a mind that loves a challenge, this clock will have you looking twice! You need to think out of the box and the fabulous fun design will delight you. 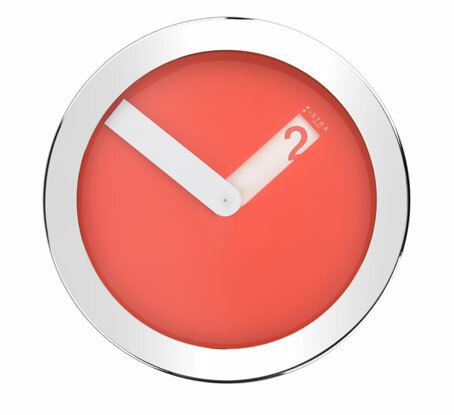 Bold, with a red face and a hand polished silver stainless steel case, this clock will make a statement on any wall in your home. Add a modern twist with a stylish time piece that is unique and different. Size is 23cm diameter. This makes a perfect gift.